sys = feedback(sys1,sys2) returns a model object sys for the negative feedback interconnection of model objects sys1 and sys2. The closed-loop model sys has u as input vector and y as output vector. 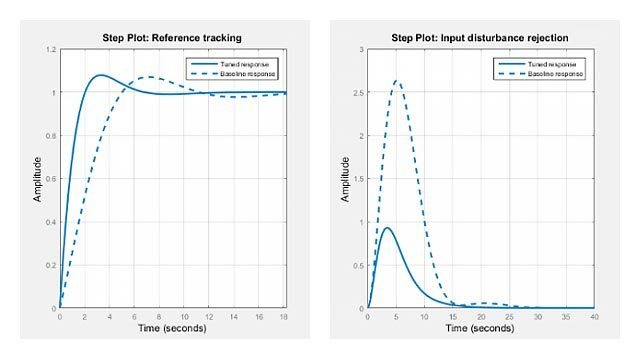 The models sys1 and sys2 must be both continuous or both discrete with identical sample times. Precedence rules are used to determine the resulting model type (see Rules That Determine Model Type). By default, feedback(sys1,sys2) assumes negative feedback and is equivalent to feedback(sys1,sys2,-1). computes a closed-loop model sys for the more general feedback loop. For more complicated feedback structures, use append and connect. These commands produce the following result. The result is a zero-pole-gain model as expected from the precedence rules. Note that Cloop inherited the input and output names from G.
Consider a state-space plant P with five inputs and four outputs and a state-space feedback controller K with three inputs and two outputs. I − D1D2 nonsingular when using positive feedback.